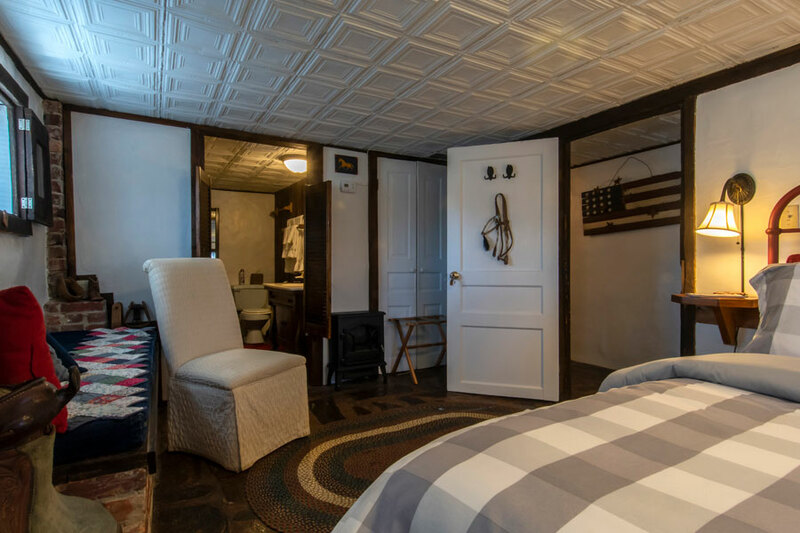 Boots and Saddles is a cozy corner room with a queen bed on the basement floor. A Celeste fireplace enhances the room with the charm and ambiance of a gently flickering fire. Windows open to both the front and the south lawns and offer good views of Deep Creek Valley and the mountains beyond. 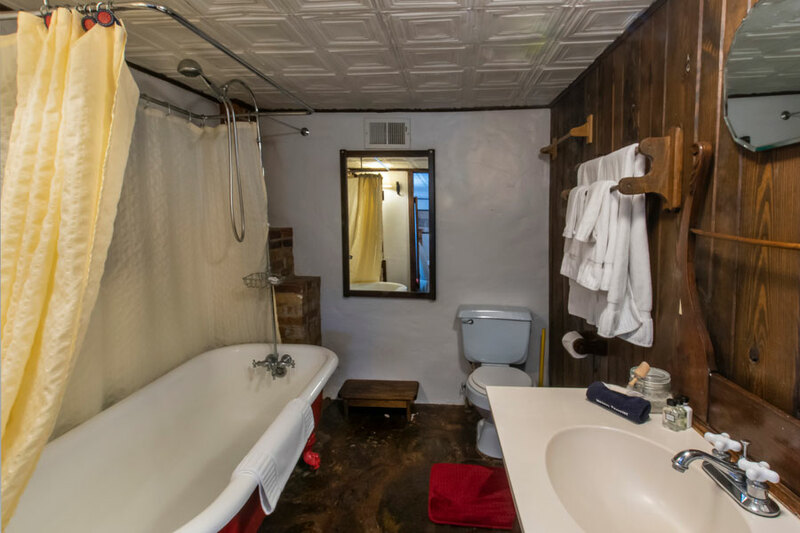 Like all the basement floor rooms, Boots and Saddles offers the old world charm of low, pressed-tin ceilings and flagstone floors. The room has lots of windows and the floor has both inside and outside access. 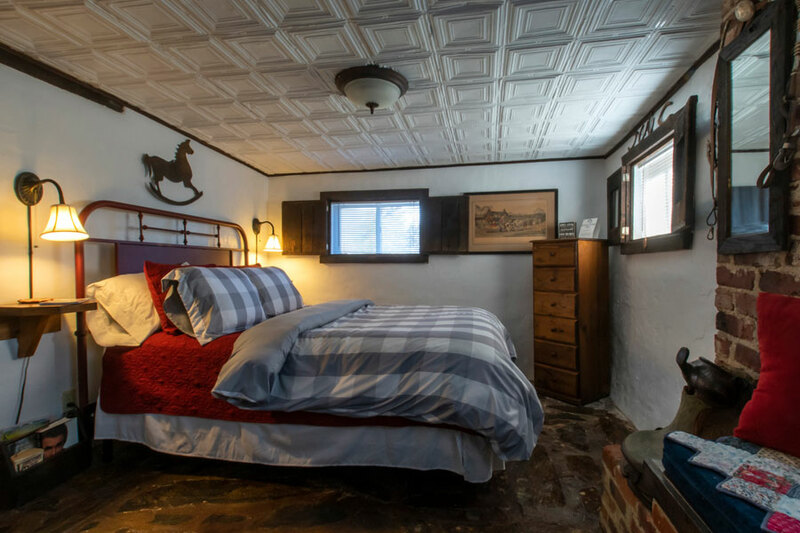 The room is decorated in a horse and rider theme, inspired by the popularity of horseback riding in the mountains around Bryson City. We've stayed at many B&B's through the years and this one definitely ranks in the top 5. Our room was on the lowest floor and was totally comfortable. Our hosts - Toni and Scott - were so gracious and accommodated our every need. And the breakfasts were amazing!